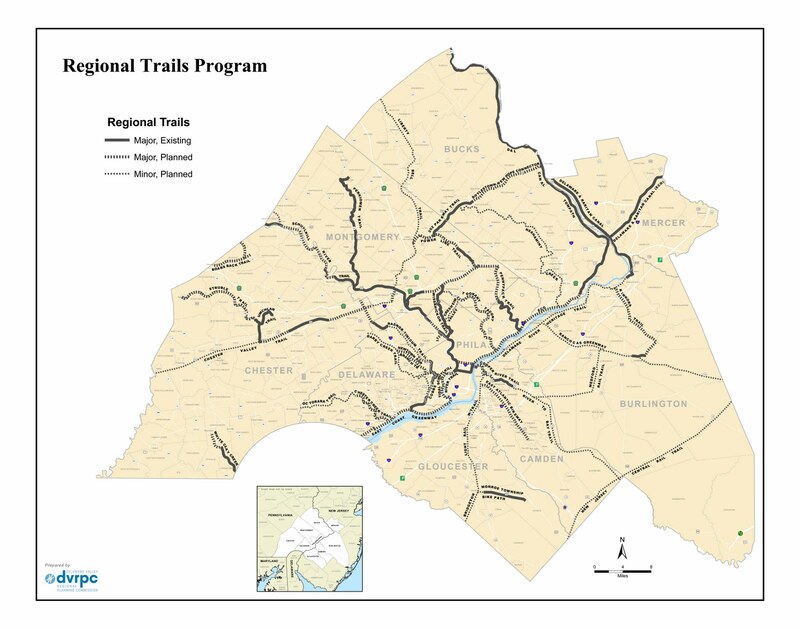 The Delaware Valley Regional Planning Commission (DVRPC) announced today the launch of the $10 million Regional Trails Grant Program. 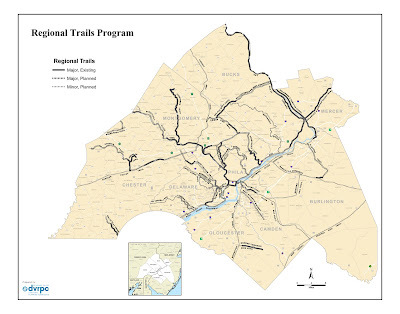 The program, funded by the William Penn Foundation, will provide funding for targeted priority trail design, construction and planning projects that will promote a truly connected, regional network of multi-use trails with Philadelphia and Camden as its hub. The program will also provide technical assistance to trail developers, counties, municipalities and nonprofit organizations. The program has numerous goals, the top of which is to raise the visibility of the regional trail network overall and support catalytic projects that will advance its completion. The targeted trails are here . Phase I of the Regional Trails Program will provide grants for design and construction of multi-use trails that complete segments of, or close gaps in, the regional trails network. To submit an application for funding, please review the Request for Expressions of Interest (REI). Expressions of Interest are due to DVRPC by 5:00 PM on Friday, July 8, 2011.